Visitors are attracted to the beautiful Key Deer Refuge and all the nature walks of Big Pine Key, and the accommodations found on Big Pine Key and the other lower Keys reflect the interest in flats fishing, ecology, a family adventure vacation, and nature. The laid-back atmosphere of this tropical island is reflected in the small motels, bed and breakfasts, fishing lodges and cottages; there are no major hotels/resorts on the island. Several rental companies offer their services in finding you the perfect place to stay as you visit Big Pine and the Lower Keys. Camping is available at nearby Bahia Honda State Park—both tent and RV camping—and there are other RV campgrounds on the small keys surrounding Big Pine. A large RV campground is located on Cudjoe Key, about ten miles southwest of Big Pine Key. Another is on Sugarloaf Key, five miles farther west. Sugarloaf also has several small cottages and a KOA campground. Shopping here is limited. Be sure to visit The Southernmost Car Club Car Show held the 3rd Sunday of every month at The Sugarloaf Lodge. 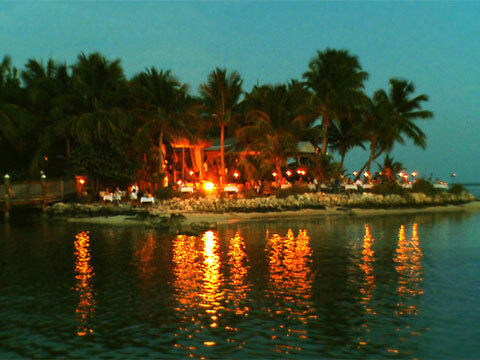 Looe Key, home to the underwater music festival is the real deal and is a favorite diving location a few miles from Big Pine on Ramrod Key, and there is a resort on that island where many divers choose to stay and a boat that will transport you to the site. Perfect for snorkeling and scuba. Offshore on the Atlantic side of U.S. 1 at Little Torch Key is a large high-end luxury resort on a private island only accessible by boat; the resort ferry will take you there from their dock on Little Torch. A smaller independent resort is located on the Gulf side of Little Torch. Only in the Florida Keys will you find this amazing Real Estate. To find the perfect place to stay during your Big Pine vacation, just select the type of accommodations you prefer and click. Great for families with children.